Convenience you can bring with you. Measures 16.5"l. x 16"w. x 17"h., 13 lbs. Yes, a bear poops in the woods. It's as natural a fact as you needing to do your business on your next remote adventure. 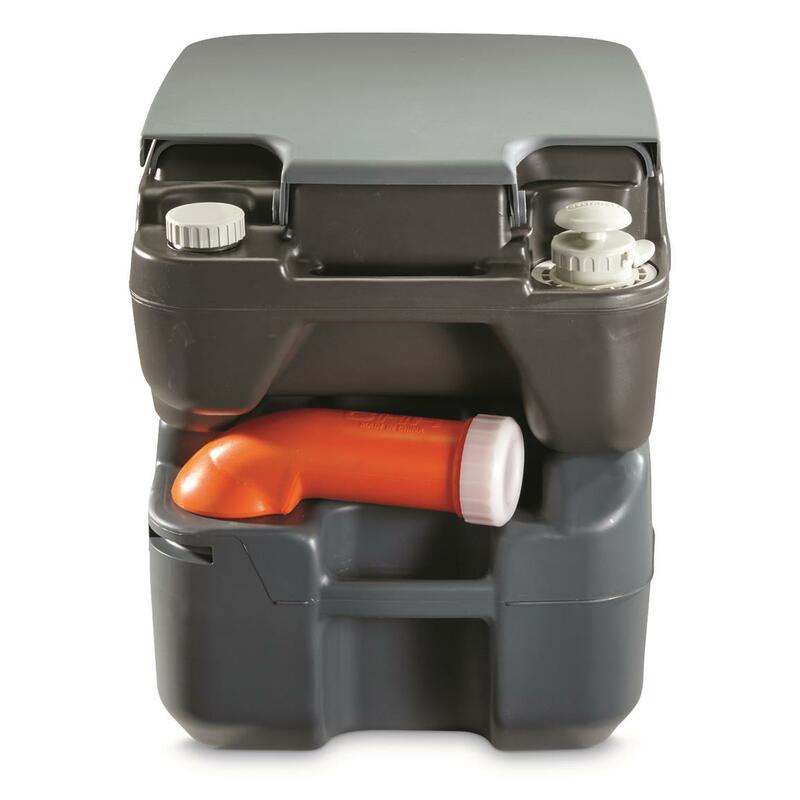 Now you can bring the convenience of home plumbing along with this handy Flush-N-Go. 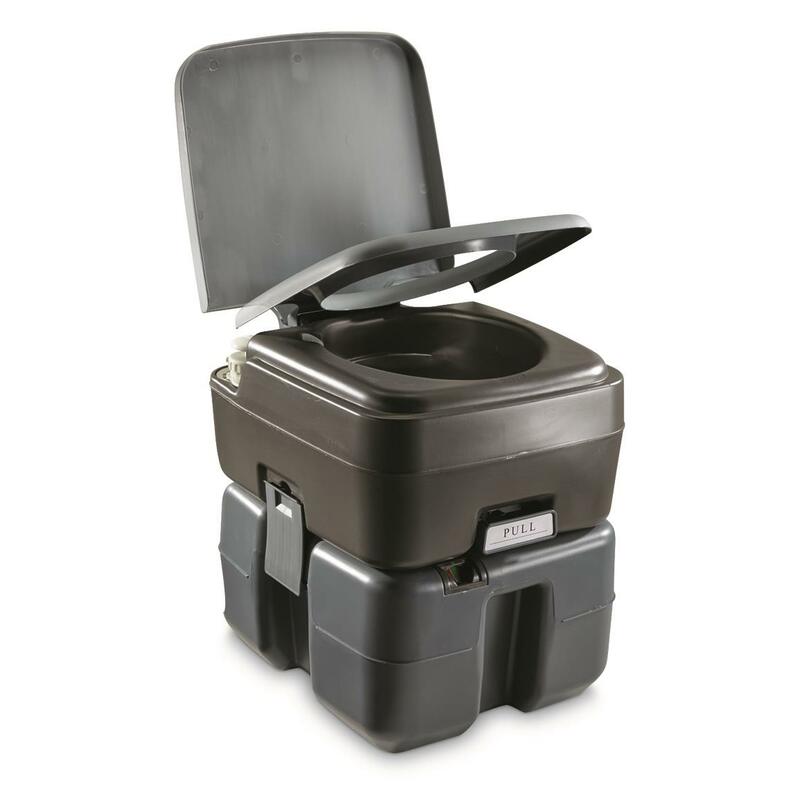 It uses the same comfortable seat height offered by your home toilet, plus on-the-go features that deliver sanitary results. 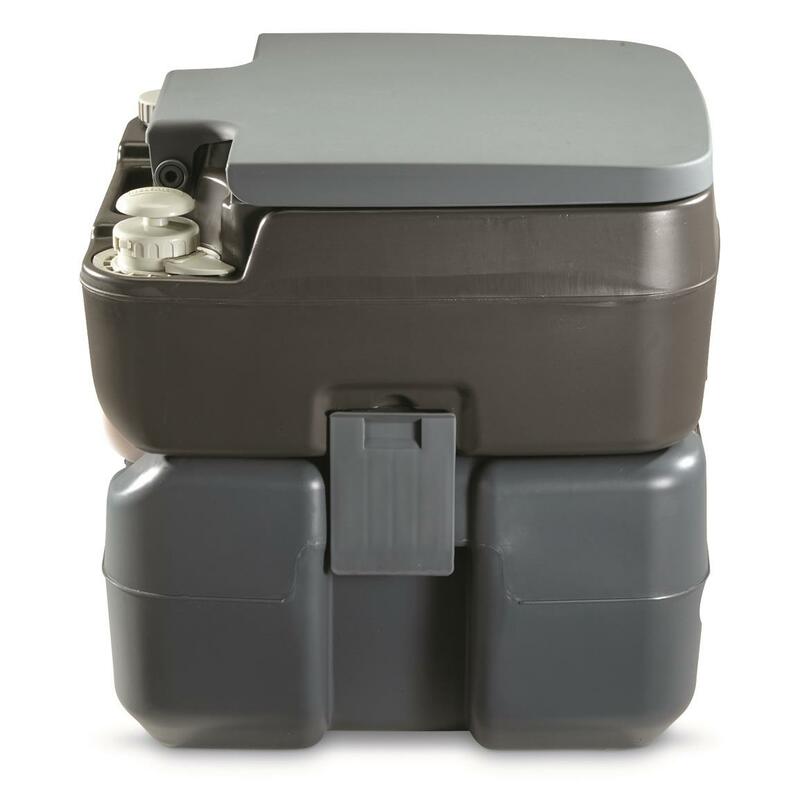 The portable "can" combines fresh water and a waste holding tank for easy flushing, plus a high-end injection piston pump for even greater flushing efficiency. 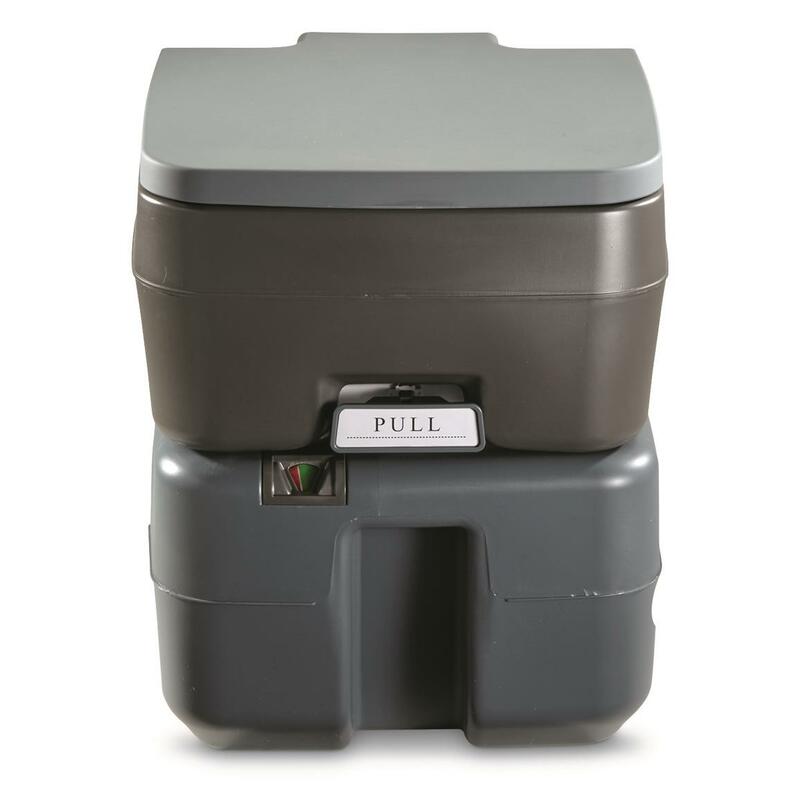 Swivel spout on the waste tank makes emptying and cleanup a breeze. NOTE: Not compatible with Double Doodie Waste Bags. Measures 16.5"l. x 16"w. x 17"h.
Dimensions: 16.5"l. x 16"w. x 17"h.